I really love the event by Priti- "His Cooking"
He is a chef in biryani and vatha Kuzhambu. 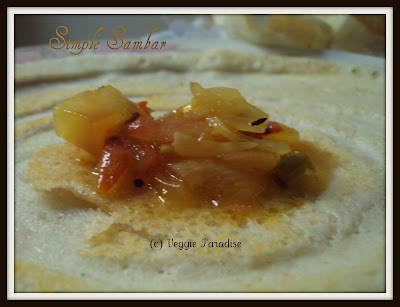 He also prepares some easy and simple recipes like this sambar, vegetable stir fries, and so on.. Here comes the sambar from my Hubby's hands. Wash and chop the onions, green chillies and tomatoes. Add the chopped the green chillies, saute for a min. Now add the chopped tomatoes along with the turmeric powder, chilli powder. Mix them well. When they tomatoes are half cooked , add 1 1/2 cups of water along with salt and allow it to boil. ( adjust the water according to your consistency). 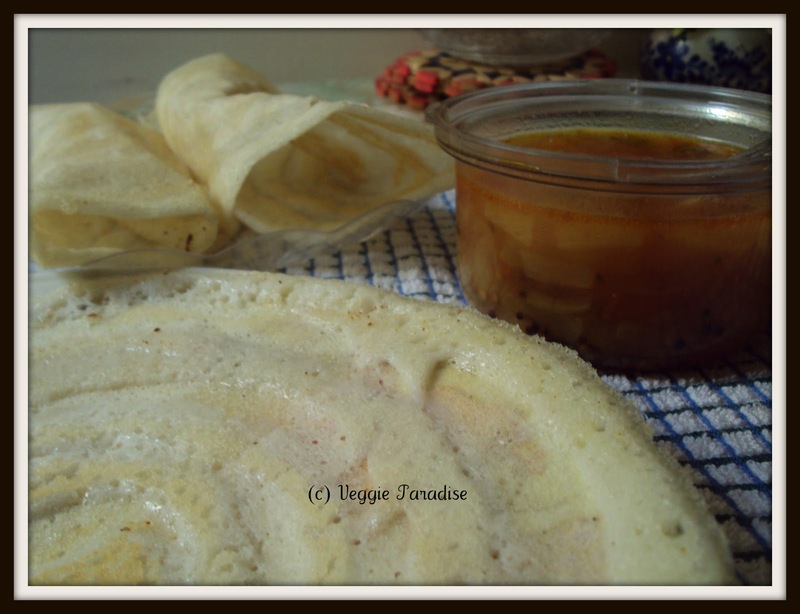 Serve it hot with crispy Dosa's/ Hot Idli's. Hmm,,,simple sambar super ah irukku..veetukaarar samichu naama saapadrathula irukka sugamae sugam ethulaum varathu poenga..
wow..thats looks gud...well done to him! oh wow. 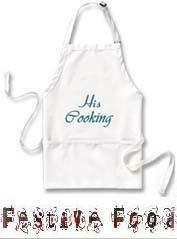 so ur hubbyy is a good cook too, just like u. Where is his vatha kulamdu recipe dear.?? My mom loves vathakulambu soooooo much. @suhaina - will post the vatha kuzhambu recipe soon dear!!!! ரெசிபி அருமையாக இருக்கு.வீட்டுக்காரர் சமைத்து நாம் சாப்பிடுவதே சுகம்தான். Yummy sambar..superb ba samachu irukarangha.. Very inviting the sambar looks. even I learnt making good sambar from my hubby..looks yumm.. Kudos to u r husband Aruna, Well done..
Its always nice to sit n enjoy meals made by others n wat to say if it is made by hubby dear. Wow!! that sure looks good!! Very simple and delicious sambar.Thanks to your DH for sharing this recipe with us. Sambar super aruna, Looks like he is also good cook. Super Sambar...Kudos to your hubby..
Now I am hungry just by the thought of it. Love sambhar. Nothing can be simple and better than that! I do this often,delicious sambar, am totally agree with sathya:)..
Whata lovely dish looks wonderful. So simple yet yummy !!! u hv a very nice blog, following u will be bk for more. Simple and yet yumm. Kudos to ur hubby! Sambhar supreaa irukku...vaththa kuzhambum, biriyaniyum podunga Aruna...waiting! Simple and yummylookin sambhar. Perfect with idlis and dosas. We call this as kosthu,love this always with idly and also sometimes roti!